Columbus' tomb, the largest wooden structure in the world, a unique solar power plant, a beautiful hospital and a glorious Andalusian palace. The tomb of explorer Christopher Columbus lies just inside the door to the Cathedral of Seville, a UNESCO World Heritage Site since 1987. 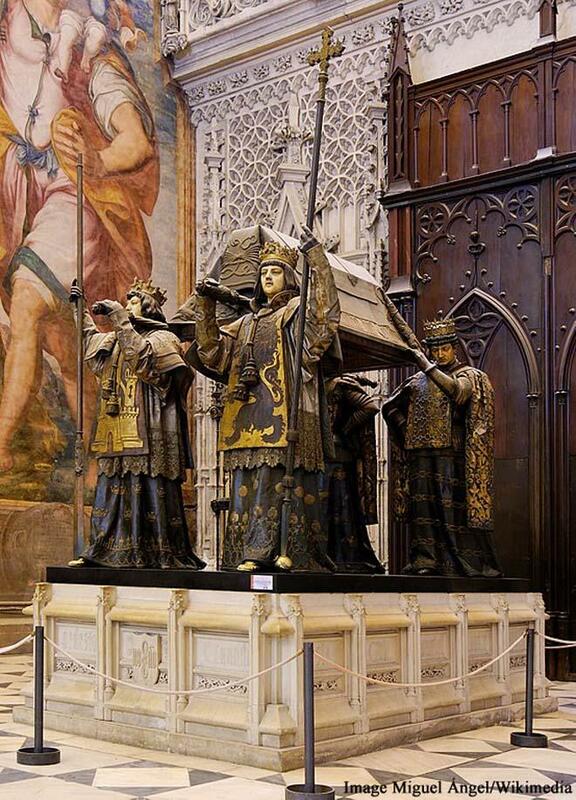 Columbus’ tomb is held aloft by four figures representing four of the kingdoms of Spain in Columbus’ life, namely Aragon, Castile, Leon and Navarra. Due to much moving around of the tomb, there is a slight doubt that it may contain his brother and not Columbus himself. At first locals were not happy about the design by Jurgen Mayer-Hermann of the Metropol Parasol, but they grew to accept it. 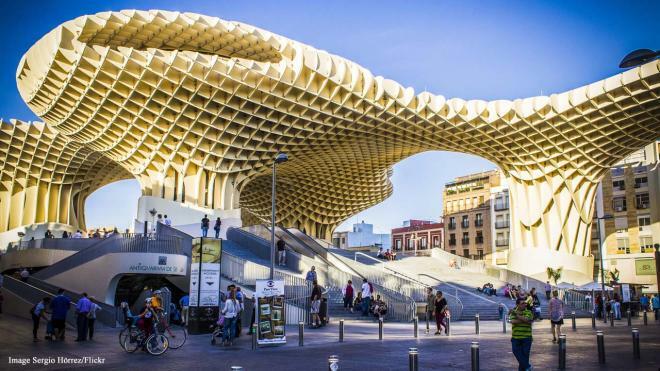 The Metropol Parasol is located in Seville’s Old Quarter, smack in the middle of historic, beautiful buildings. The design itself is an interpretation of wooden mushrooms. The structure is huge, measuring 150 m by 70 m, and with a height of 26 m, making it the largest wooden structure in the world. Visitors can stroll around on it.